There comes a time in most people’s lives when they need to open a new bank account or switch to a different bank. 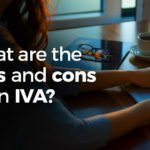 With a plethora of different financial institutions on the market, it can be difficult to decide which one is right for you. Not only this, but most banks have tempting introductory offers, varying interest rates and some even offer switching bonuses, making it all the more difficult to choose the best bank for you. We spoke to a number of Brits about what frustrates them the most when it comes to high street banking. The results revealed that almost 60% of respondents didn’t carry out any research, before choosing which bank to apply for. Over 60% of 55+ year olds said that they didn’t carry out any research before choosing a bank account, whereas 55% of 18-24 year olds gave the same response. Surprisingly, results also found that 62.61% of women admitted to not researching, compared to 52.16% of men. This research suggests that older people are less likely to conduct research when choosing and applying for bank accounts! No matter the reason or your age, it’s important to carry out the proper research when making this big decision. Why should you carry out research before applying for a bank account? These days, there are many different places you can hold your money, including commercial banks, credit unions, and current accounts providers such as ourselves. It’s important to not take a one-size-fits-all approach to banking. Traditional banking facilities, whilst they are a common option, may not be the best option for you depending on your situation. By carrying out extensive research, you can ensure that you not only get the best deal for yourself, but you are keeping your money in the most suitable place. The type of bank account you will need depends on what you want to use it for. Are you looking to use your new account to keep your salary, or are you hoping to put aside a small percentage for savings? You can opt for a current account if you’ll be accessing your money on a day-to-day basis, whereas you may want to go for a savings account if you want to build up a balance of cash without making withdrawals. Of course, there are plenty of other bank accounts, each with their own uses and benefits, which highlights the importance of understanding what it is you need and which account can best off this to you. 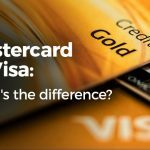 Some banks charge significant fees for going into a negative balance on your account, so it’s worth shopping around to see what these fees will be. If you think you might need an extra financial boost, our i-draft service provides a £250 planned overdraft facility to help you when you need it the most. This is especially important if you’re looking at opening a savings account. In order to make the most of your money, you’ll want to look for an account with the highest interest rate. With the complex financial jargon and specifications to sift through, it’s no wonder so many people are opting out of the search process altogether. However, it’s vitally important to do so, as there are now so many options out there. Here at icount, we strive to make managing your finances as simple as possible, with some added benefits and services thrown in for you. Our current account with prepaid Mastercard(r) makes it so simple to keep on top of your finances and reap the benefits of clever money management. You’ll find everything you need to know about our service in our advantages and card uses pages. We know your language and aim to keep things as simple as possible, without any of the over complicated jargon. We highly recommend carrying out some research before choosing a banking provider to trust your money to. You never know, you may find that a high street bank alternative like icount is the best option for you!